The best on the market "pomper" prepared by the team IHS Technology. One 20 gram portion put as many of the components contributing to improvement of the efficiency of your training and trained blood flow to the muscles. 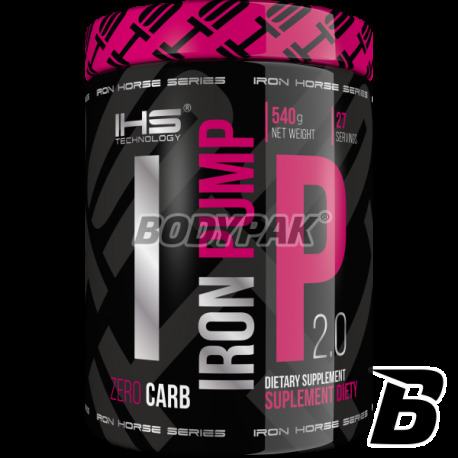 Use of all these substances in such high doses, provides an incredible muscle pump even in cases of reduced carbohydrate intake, that is, during periods of fat. As can be seen in the composition of the product we applied as large as possible and optimum dosages of affecting maximize concentration and increased mental energy to exercise their training session in concentration and almost without interruption. The product thus acts on two levels, in a muscle or in the central nervous system; comprehensively contributing to a real improvement training and feeling a real pleasure to each of these series. Do not wait, already use the best option and your muscles just explode. One serving of 20g of active ingredients without unnecessary fillers and sugar. 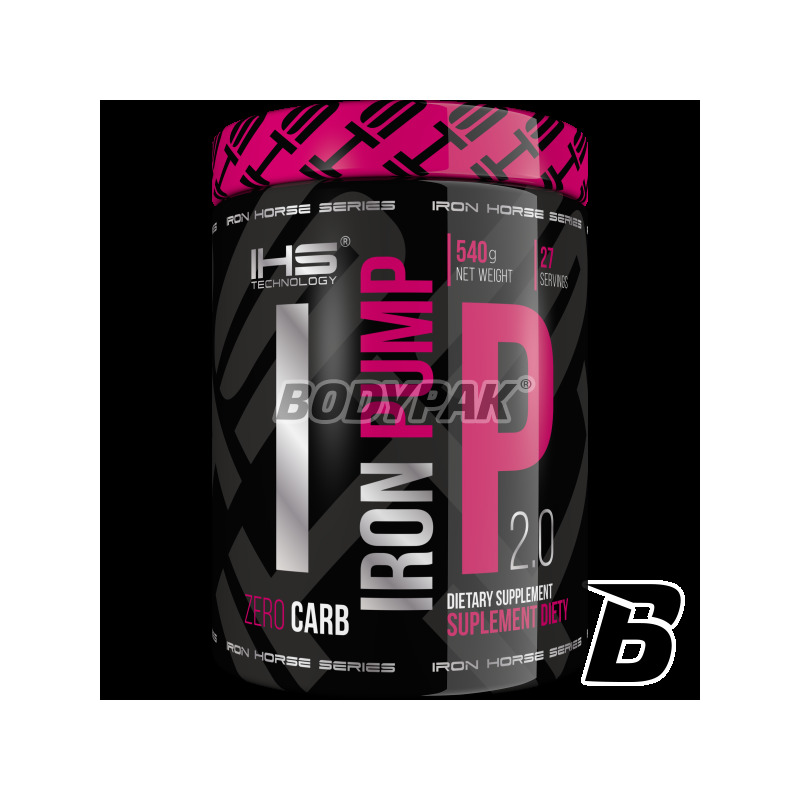 Ingredients: beta alanine, AAKG (2: 1) malate, citrulline (2: 1), L-taurine, L-tyrosine, N-acetyl L-carnitine magnesium citrate jabłcan Tricreatine, L-norvaline, phosphatidylcholine, Schizandra chinensis (extract 10%), caffeine, nicotinic acid, thiamine hydrochloride, pyridoxine hydrochloride, cyanocobalamin, sweeteners (saccharin sodium, sucralose), anti-caking agent (silicon dioxide), fruit flavor: orange orange flavor, coloring agents sunset yellow, tartrazine. mocny jak skur........ kosmiczna pompa ! wysokie stężenie składników aktywnych !! no daje radę konkretnie ;-) kozak brać ! Szukałem jakiejś fajnej przedtreningówki, bo już mi brakowały pompy bez supli a lubię często ćwiczyć. Trzeba przyznać, że efekty są odczuwalne. Rosnę w siłę po Iron Pumpie a mięśni faktycznie zwiększają szybko swoją objętość. Próbowałem smaku pomarańczowego i z powodzeniem mogę go polecić. Najlepsze co może być na trening siłowy. Iron Pump pomocny przy pracy z żelastwem, szczególnie jak idę na trening prosto z roboty. Strzał energii, pełna koncentracja i pompa mięśniowa, tego mi potrzeba! Pompa 4/5 ale pobudzenia brak, smak zamula, chyba że bierzesz porcje na łyka, po wypiciu jednej porcji czułem się jak bym wypił odżywkę białkową. Niesamowita pompa, która utrzymywała się dość długo po treningu. Solidna pompa, sprawdza się przed treningiem.